Team MatherMotorsport Overcomes Disaster to Claim Second Victory of the Season! 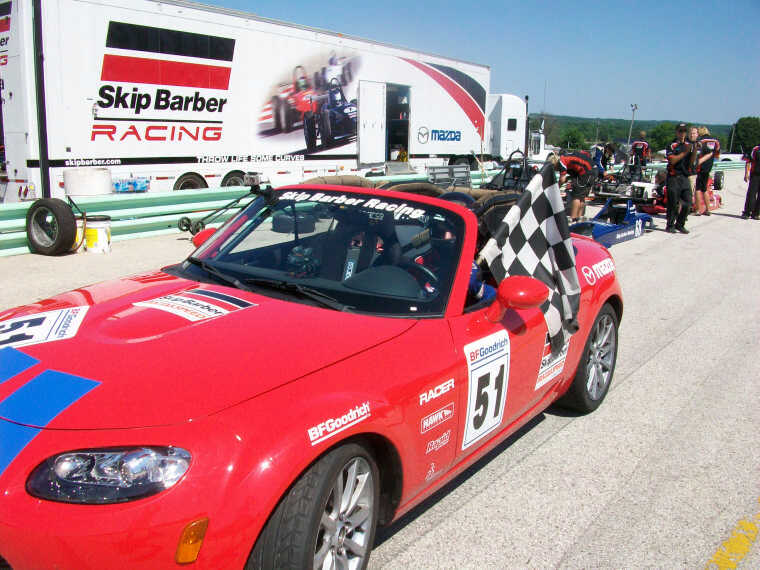 Phil Mather and Team MatherMotorsport visited Road America (www.RoadAmerica.com) in Elkhart Lake, Wisconsin over the Fourth of July weekend for races six and seven of the Skip Barber MazdaSpeed Challenge Summer Series. 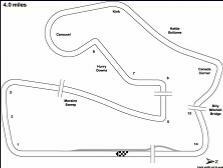 Road America is a four mile, fourteen turn racetrack with very long straights, several sweeping turns, and a few slow speed turns thrown in for good measure. Friday's practice day started well, with Phil Mather setting the fastest time in the session by almost three-quarters of a second. The second practice session didn't go so well, however. 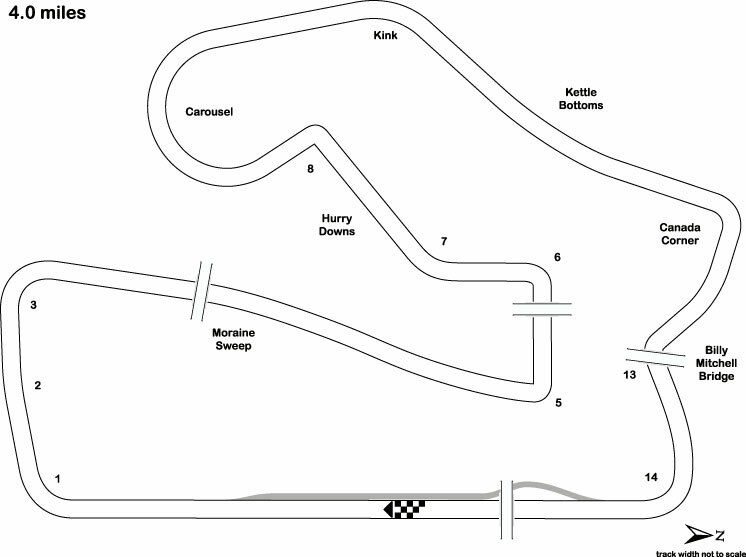 Exiting Road America's (in)famous turn called "The Kink", Mather spun off the track at almost 100 mph and into the outside retaining wall, ending his day. He walked away from the wreck unscathed and ready to jump back in the racecar. 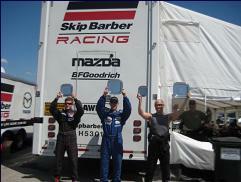 Saturday's qualifying session went well with Mather qualifying in the third position. Right at the start, Mather and main competitor of the weekend, Andrew Pasquale, worked together to stretch out a gap on the other competitors. After a decent gap was built, Mather and Pasquale battled it out to the finish, swapping the lead several times, passing and racing inches from each other, but never touching. "This was some of the hardest, yet cleanest racing that I've ever had in my career," Mather said, "and some of the most fun." On the last lap, Mather was right on the rear bumper of Pasquale coming out of the last turn onto the front straight. He used the draft to gain speed, but ran out of time, crossing the finish line 0.3 seconds behind Pasquale, but over ten seconds ahead of third place. On Sunday, Mather started in the second position. On the first lap, Mather had a run on the pole sitter, Pasquale, going into the downhill, 90 degree left hand turn five. He moved to the inside to attempt a pass, but got slightly wide on exit, allowing Pasquale back through. At the end of the first lap, there was a full-course caution for a car that hand blown an engine. On the restart, Mather and Pasquale again worked together to put a large gap between themselves and the rest of the field. The racing was even more intense then the day before, passing back and forth three or four times per lap, every lap! 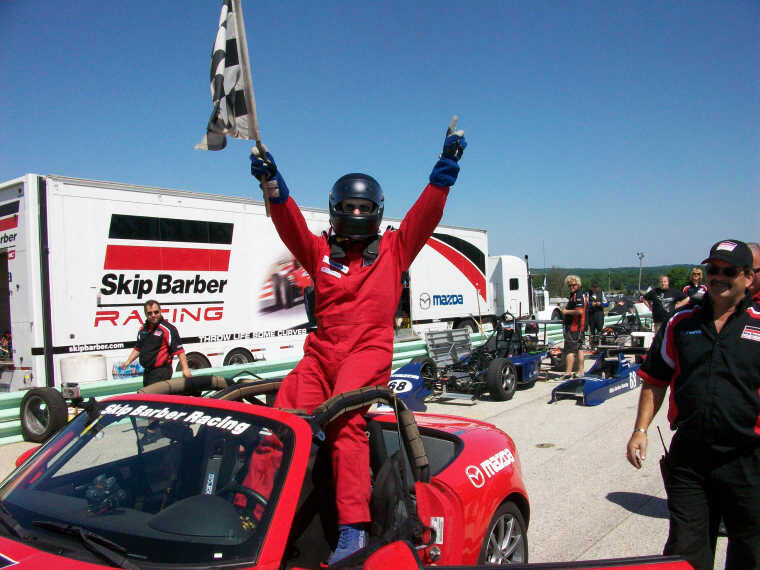 At the end of the ten lap race, Phil Mather crossed the finish line FIRST, about 0.4 seconds ahead of Pasquale, and over seventeen seconds ahead of third place! 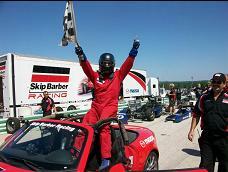 This is Team MatherMotorsport and Phil Mather's second victory of the season. He is now only ten points out of the championship points lead. 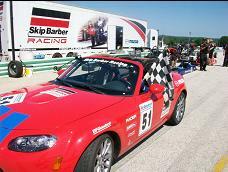 "I'd like to thank the Skip Barber mechanics and testers for keeping the cars running so equal all weekend long. The races definitely came down to the driver who had the best skill and strategy that day. And thank you to all of my sponsors who all play a part in Team MatherMotorsport's success."